The recent trend of fitness is moving towards group fitness, friends getting together to work out. The gym is often a social setting for people to meet after work or simply a central meeting place for some. The current generation of people puts a high emphasis on fitness, and this should benefit your gym. The easiest way to grow your member base is by tapping into your easiest resource, your current members! 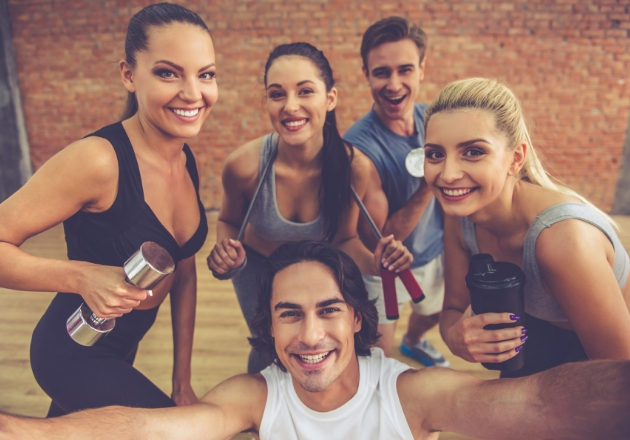 Having regularly scheduled classes at your gym is the easiest way to get members to invite their colleagues for a workout. You can incentivize an “invite a friend” program, giving away a certain number of classes or attendance sessions free. It’s very common for people to have workout partners and this routine can result in more people going to your gym! A refer-a-friend program is one of the best ways for fitness owners to improve retention and growth. People are much more motivated to workout once they are with a workout partner in a group setting. People also enjoy working out more when they have other people around them. Currently, fitness has turned into a social activity, rather than a solo one. Word of mouth can be one of the biggest tools for business owners, which is why it’s important to utilize your customer base as much as you can. This is always going to be very important in succeeding with your gym.